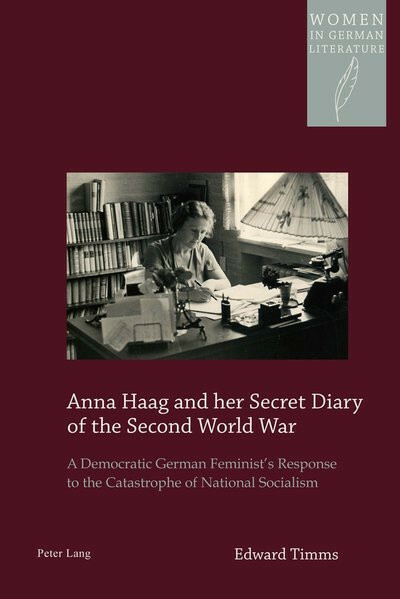 Produktinformationen "Anna Haag and her Secret Diary of the Second World War"
How was it possible for a well-educated nation to support a regime that made it a crime to think for yourself? This was the key question for the Stuttgart-based author Anna Haag (1888–1982), the democratic feminist whose anti-Nazi diaries are analysed in this book. Like Victor Klemperer, she deconstructed German political propaganda day by day, giving her critique a gendered focus by challenging the ethos of masculinity that sustained the Nazi regime. This pioneering study interprets her diaries, secretly written in twenty notebooks now preserved at the Stuttgart City Archive, as a fascinating source for the study of everyday life in the Third Reich. The opening sections sketch the paradigms that shaped Haag’s creativity, analysing the impact of the First World War and the feminist and pacifist commitments that influenced her literary and journalistic writings. Extensive quotations from the diaries are provided, with English translations, to illustrate her responses to the cataclysms that followed the rise of Hitler, from the military conquests and Jewish deportations to the devastation of strategic bombing. The book concludes with a chapter that traces the links between Haag’s critique of military tyranny and her contribution to post-war reconstruction.